Furniture that embraces simple form, natural materials and contemporary patterns defines the mid-century modern style. A blending of stunning shapes and unique accents to emphasize a clean, understated framework keeps this furniture style a popular favorite. • Form: simplistic and natural. • Patterns: bold and beautiful, featuring strong shapes, curves and textures. • Leg Shapes: small with elongated cone shape. • Traits: functional, fun with the highlight on function and clean form, Mid-Century modern furniture is built to serve while looking natural and fun. Modern Amish furniture is built upon the principles of strength, durability and beauty, contributing easily to this style that serves. 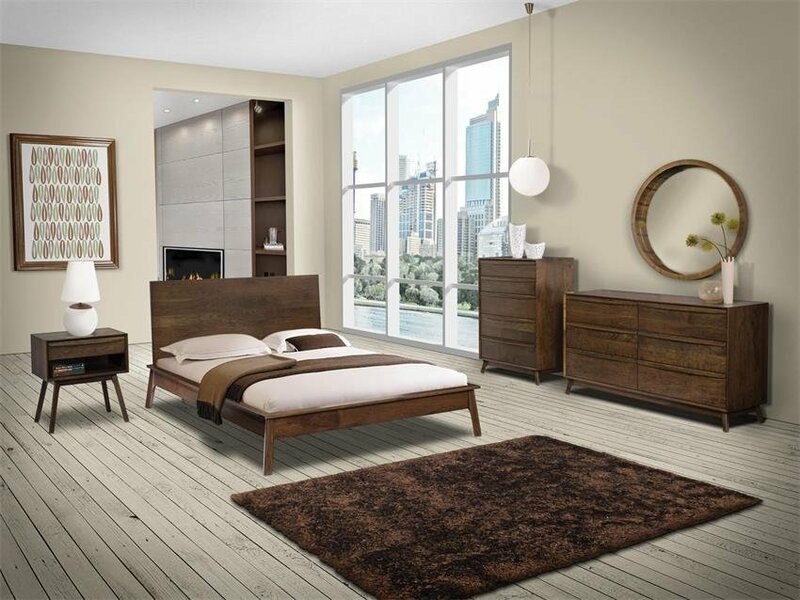 Our mid-century modern furniture collection features panel beds and dressers that capture the essence of combining a strong, simple form that functions well. Furnish your modern bedroom with this flawless combination. Our chair, bench and dining table offerings mix seamlessly with other styles in your home. Create your own mid-century modern Amish furnishings with an array of customization options available to make the style uniquely yours!